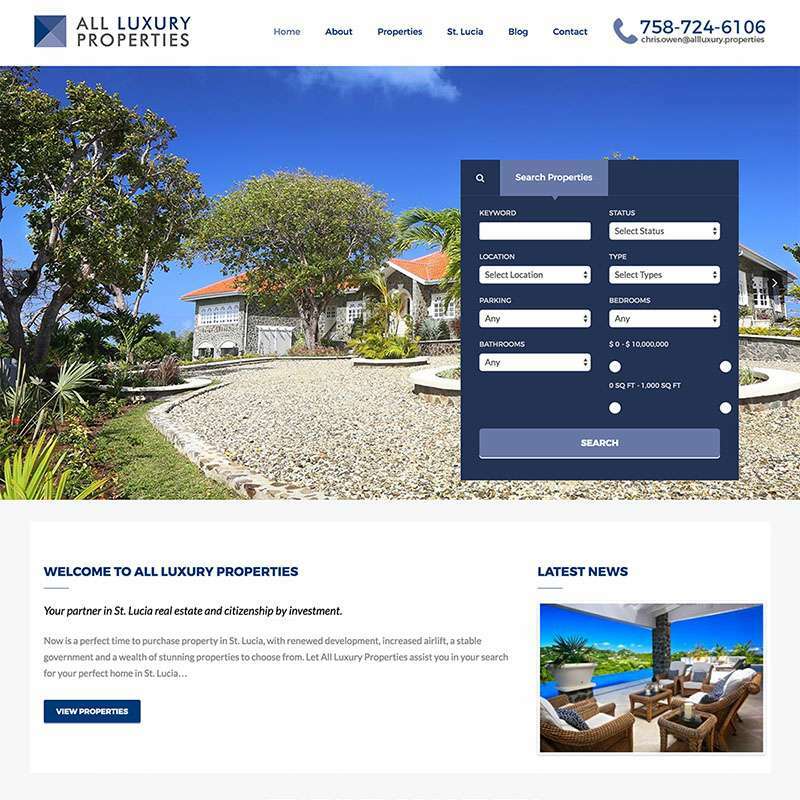 All Luxury Properties is the only St Lucia-based real estate company to specialise exclusively in the upper end of the market. The client needed a real estate website to reflect this strategic position. The site needed to be easy to navigate and exude an air of elegance, without coming across as pretentious. Mosaic developed this particular real estate website back in 2016, working closely with the client and some of the property developers to ensure optimum use of images and copy. The site is built around a content management system that gives the client full access to add, remove and edit properties as they need. It was important for the client that the site also render well on mobile devices, so we ensured that the design was fully responsive.